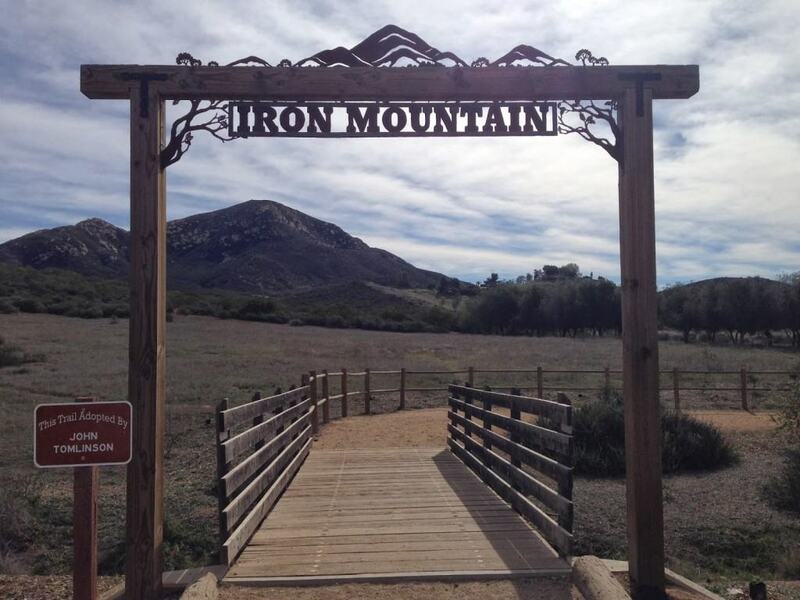 Iron Mountain is a favorite hiking trail in San Diego County, and now we know why! 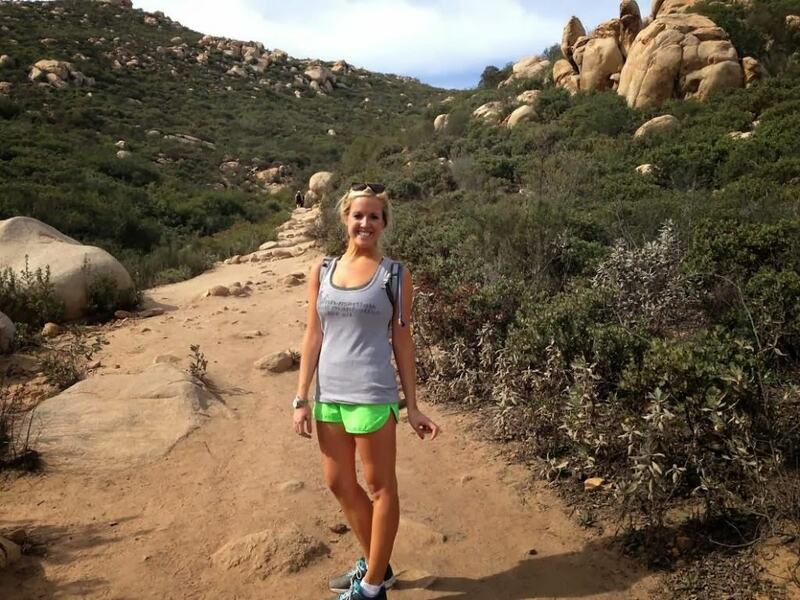 This 6-mile hike is ideal for the beginner hiker to the experienced hiker, offering the length and incline to truly get a work-out! Parking is easy & free (yippee! 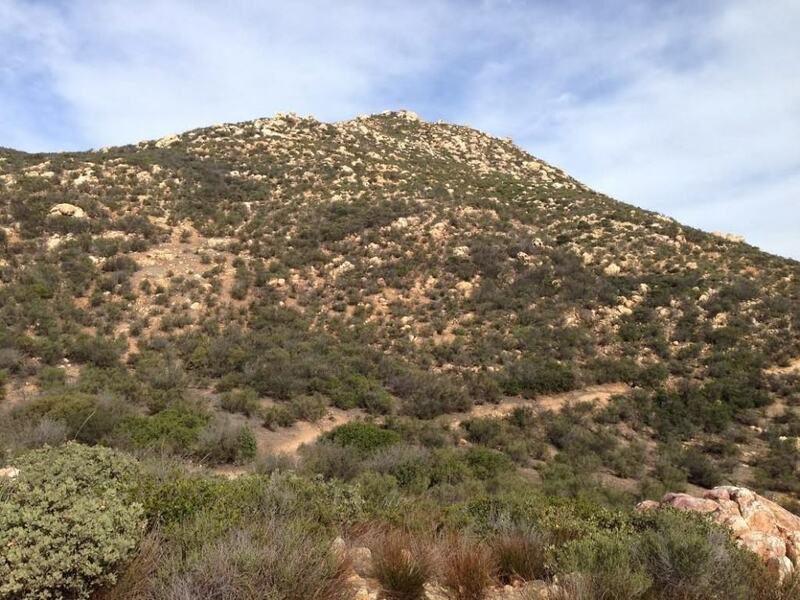 ), the views are gorgeous, and the hiking trail is well-maintained. 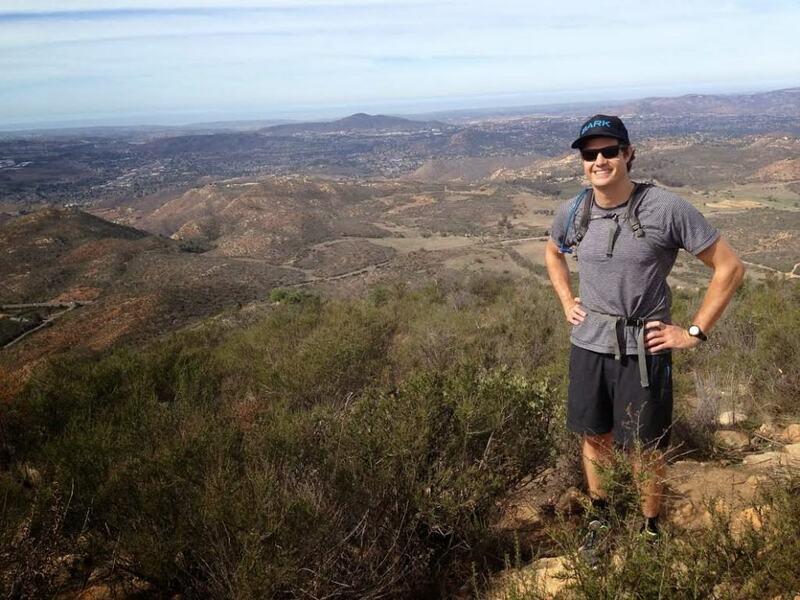 If you plan to do this San Diego hike on the weekend, you’ll find several other hikers with the same idea. 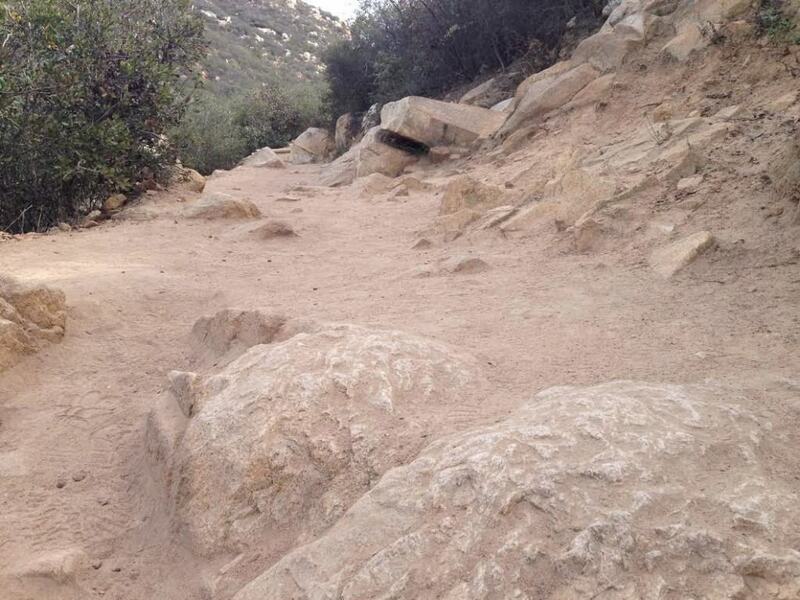 The trail features switch-backs near the top of the mountain and some moderate rocks to hike over. 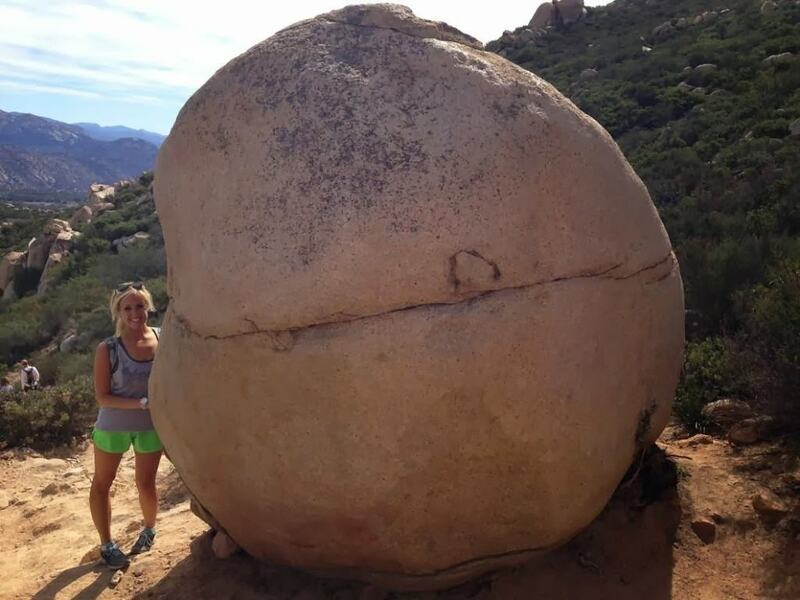 Once you’ve reached the top, the 360 views are incredible! 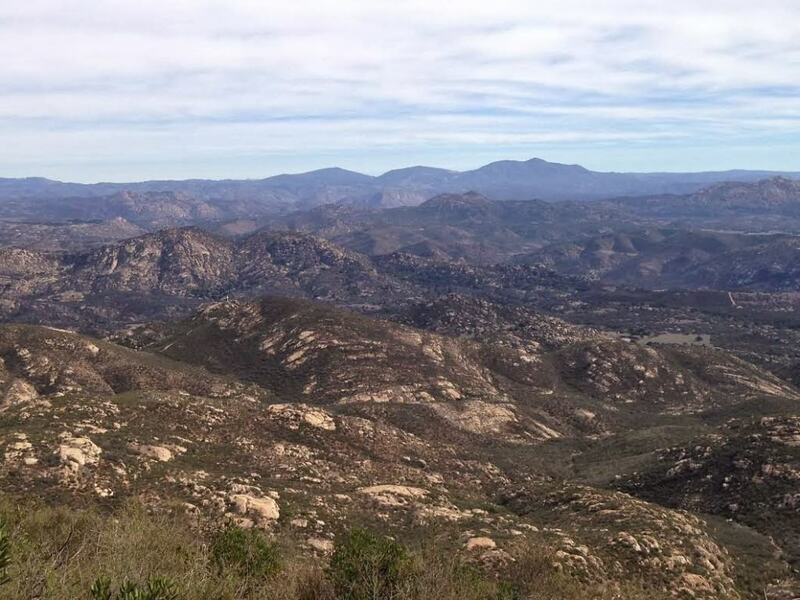 Depending on your experience, allow for at least 2 hours to do Iron Mountain Hiking Trail, which may take you up to 4 hours. 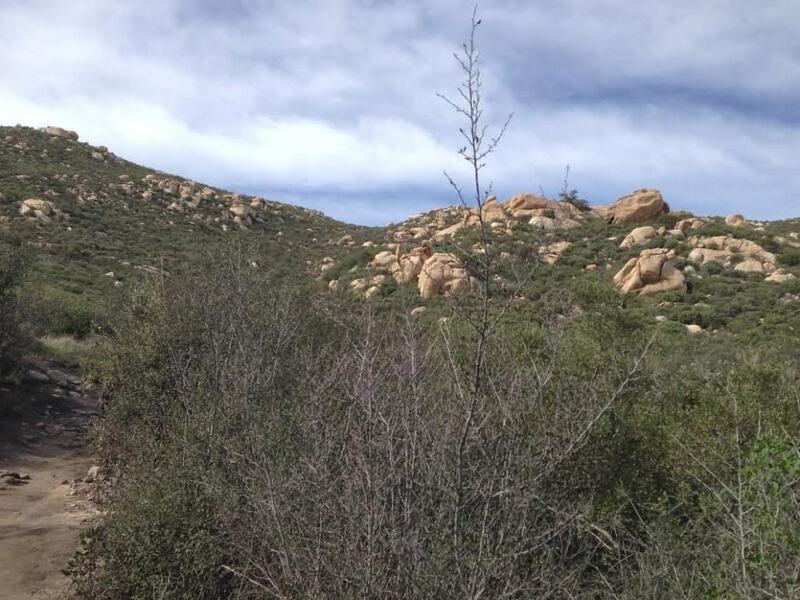 To see a video of Iron Mountain’s trail conditions, click here. 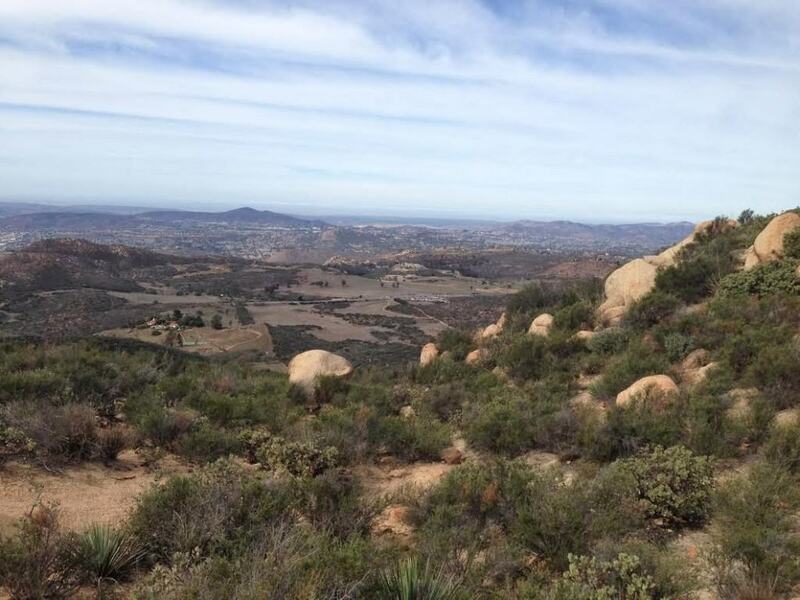 Iron Mountain Hiking Trail in north San Diego is a very well-rounded hike for all experience levels. 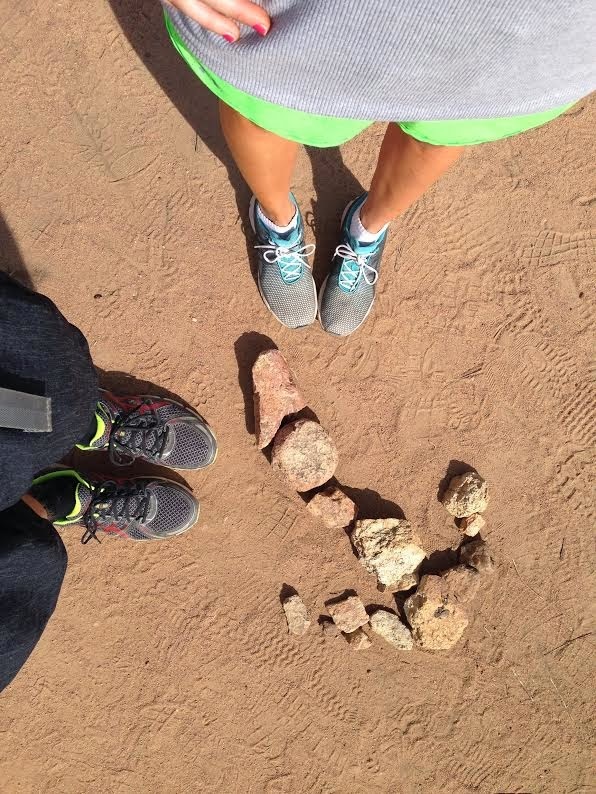 Being active hikers, we loved this hike because it offered a great 2-hour challenge. 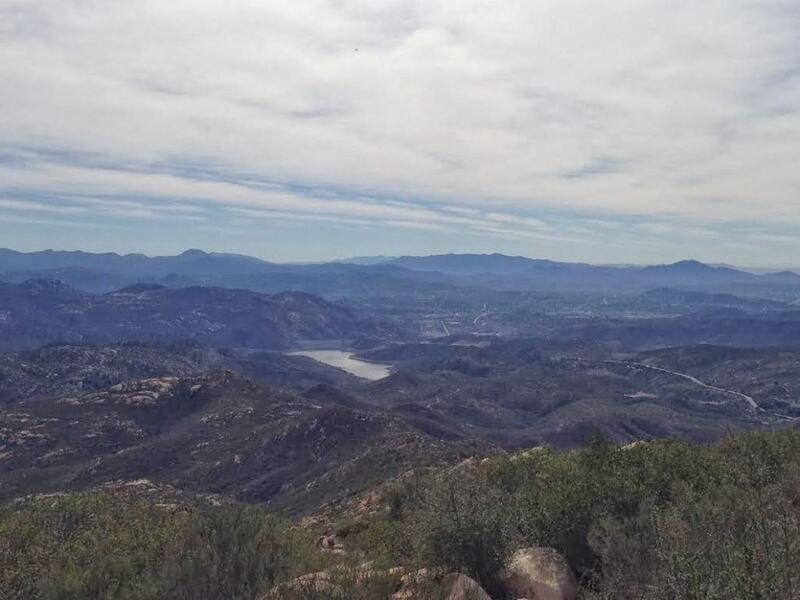 Once you reach the top of Iron Mountain, the views aren’t bad either (they’re TRAIL-IFIC!) 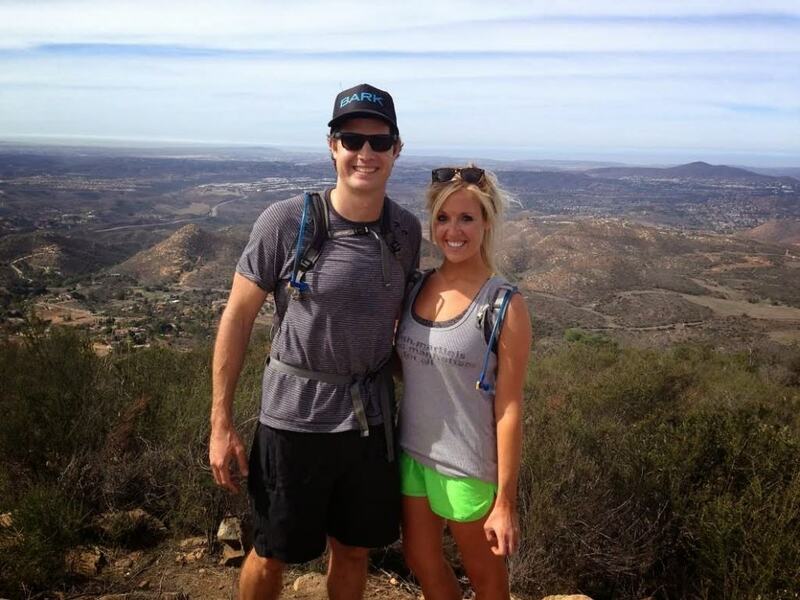 We found several hikers at the top, enjoying the views with their family and friends. If you go during lunch, bring a sandwich to enjoy at the top! Merge onto CA-163 N via EXIT 16 toward Escondido. Merge onto I-15 N via the exit on the left. Take the Pomerado Rd/Miramar Rd exit, EXIT 14. Turn right onto Pomerado Rd. Turn right to stay on Pomerado Rd. 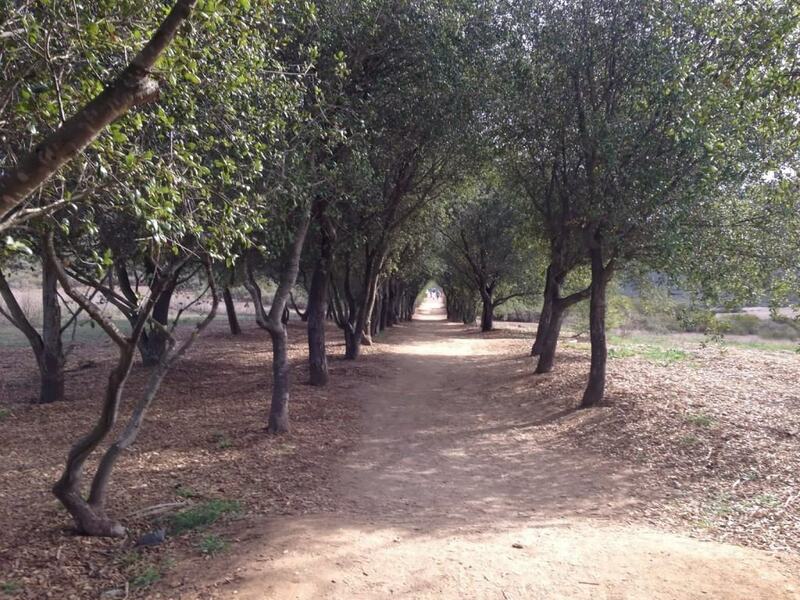 Turn right onto Scripps Poway Pky. Your end destination is: CA-67 & POWAY RD. Merge onto CA-78 E via EXIT 51B toward Escondido/Vista Way. Merge onto I-15 S toward San Diego. Take the Camino del Norte exit, EXIT 22. Turn left onto Camino del Norte. Camino del Norte becomes Twin Peaks Rd. Turn right onto Espola Rd. 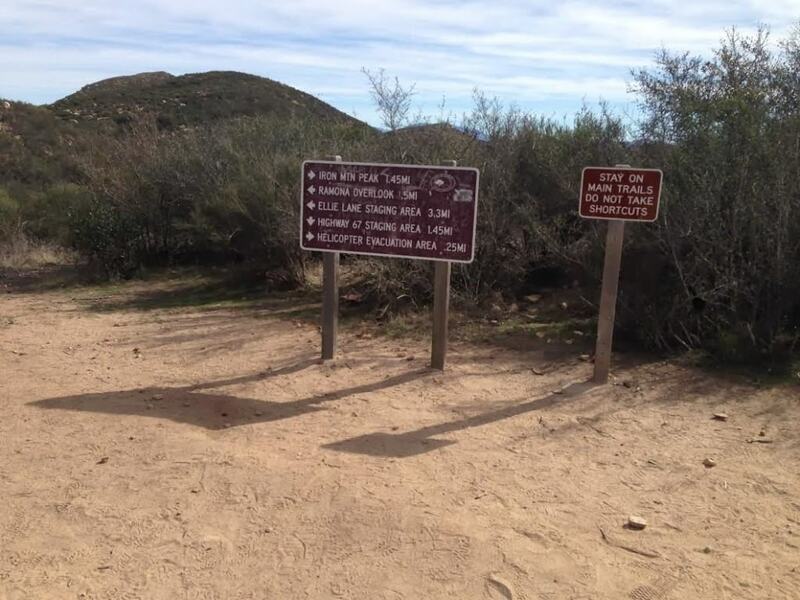 Turn left onto Poway Rd. Your end destination is: CA-67 & POWAY RD. Park in the parking lot when you reach Highway 67 (across the street). Merge onto the CA-91 E.
Merge onto CA-60 E toward I-215 S/San Diego/Indio. Keep right to take I-215 S toward San Diego. I-215 S becomes I-15 S.
If the weather conditions are predicted to be warm, start earlier in the morning to avoid heat exhaustion. 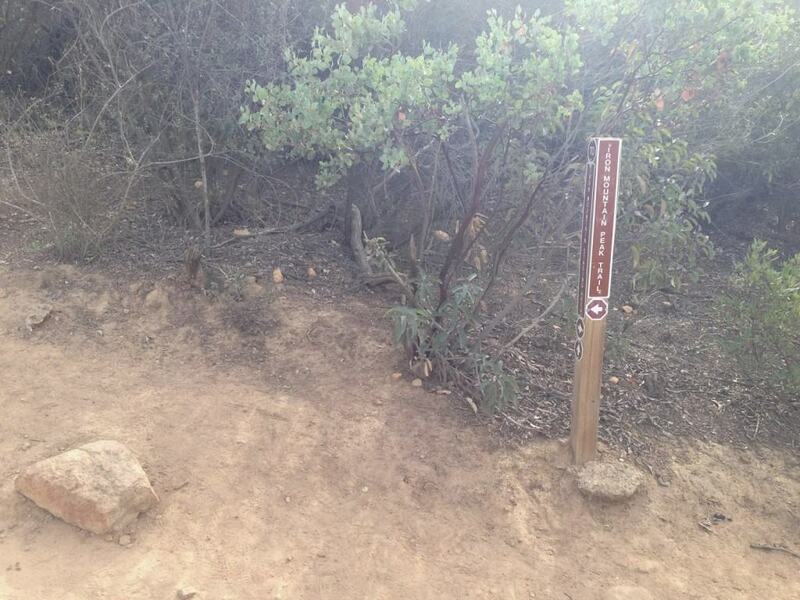 Iron Mountain trail marker. Follow the arrow! 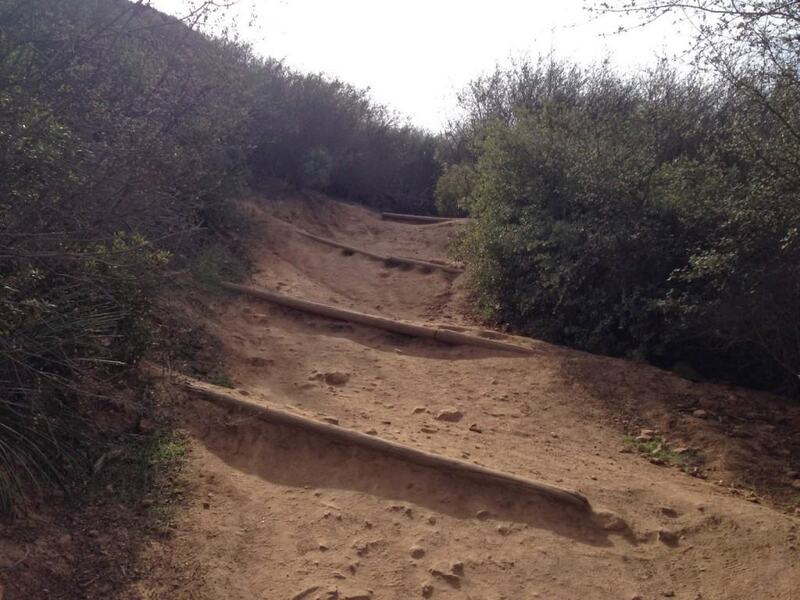 Follow your path and enjoy the hike! Yes, on leashes and depending on your dog’s physical experience. 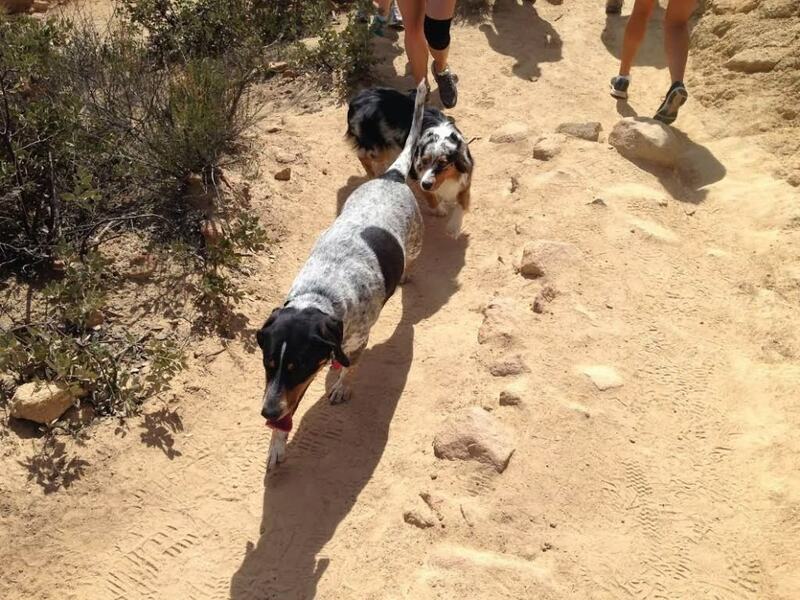 We saw several dogs enjoy the trail on their way! 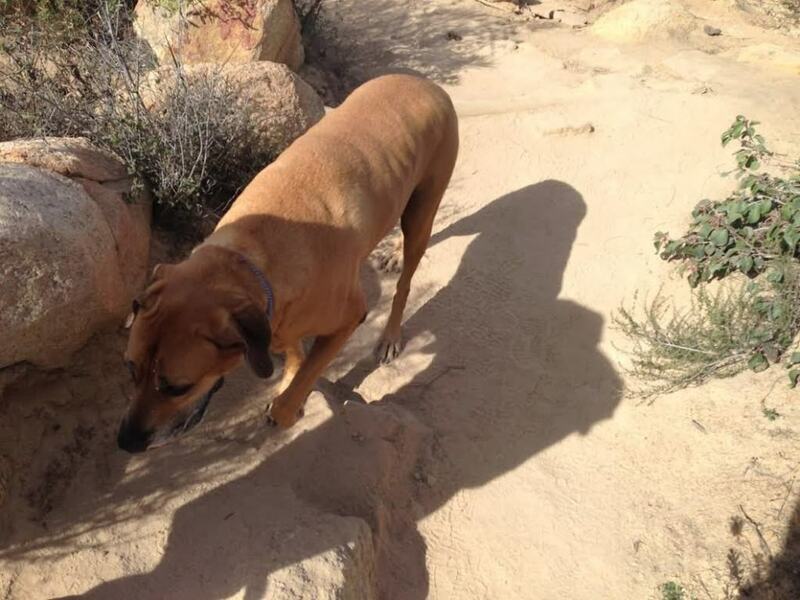 Dog treats are highly recommended. 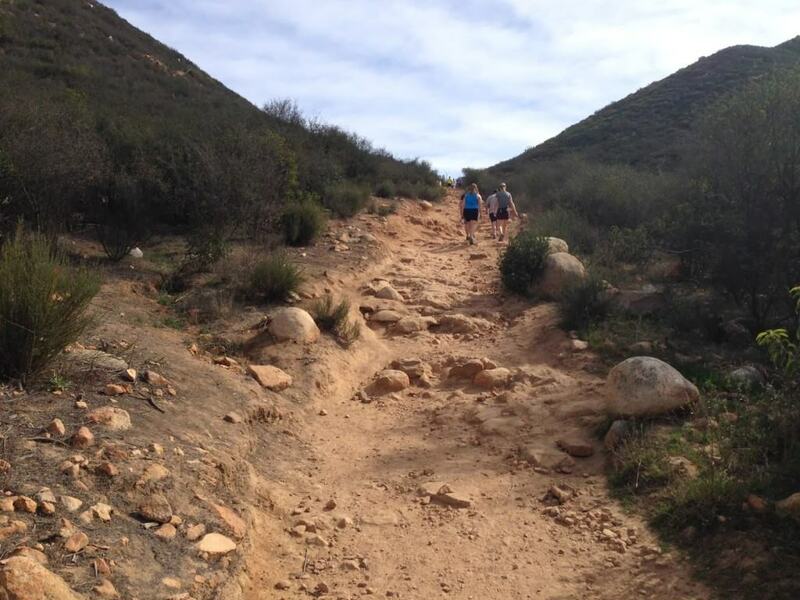 Have you tried the Iron Mountain Hiking Trail? Share your experience in the comments below! Powered by Nature. | © 2018 All Rights Reserved.